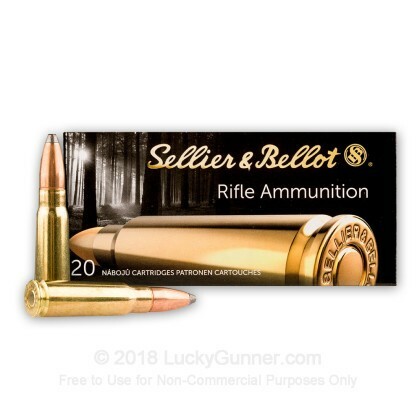 Sellier & Bellot is a Czech manufacturer with over 180 years of experience crafting loads from law enforcement, hunting groups, and sports shooters. 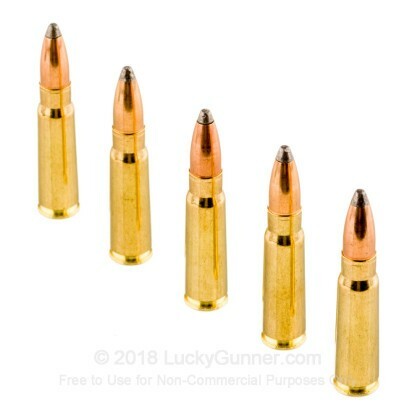 As can be expected, these 7.62x39mm rounds function reliability, shoot consistently and leave behind very little residue. 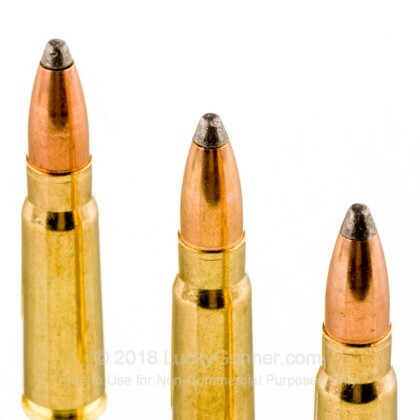 Unlike surplus loads from far-east factories that U.S. shooters are accustomed to seeing imported, these cartridges are constructed using reloadable brass casings fitted with non-corrosive Boxer primers. That material selection not only adds a bit of reliability to the standard AK built from a parts kit, but ensures uniform chamber fit and extraction when dealing with more precise Arsenal, VEPR, or AR rifles. 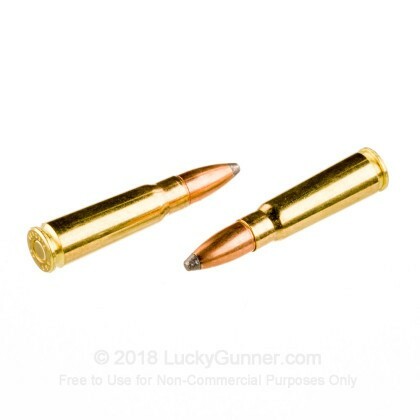 The brass casing is filled with clean burning powder and topped off with a 124-grain soft point bullet; this weight rating matches the median majority of 7.62x39mm ammo and easily matches travel ballistics and sighting schemes. The soft point projectile features a lead core, copper jacket, and exposed nose. Upon impact with a game target, the exposed lead nose will promote expansive transformation while the strong jacket prevents total separation. As a result, the bullet will penetrate deeply as it yaws and creates a larger wound cavity while also depositing all of its energy into the game animal. This not only deters over-penetration but more quickly and humanely puts down whitetail deer as well as feral boars. 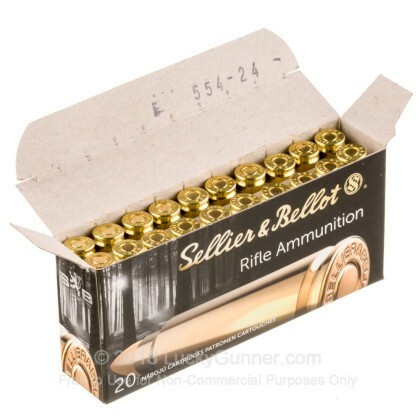 We don't have any reviews yet for this particular 7.62X39 ammo from Sellier & Bellot. 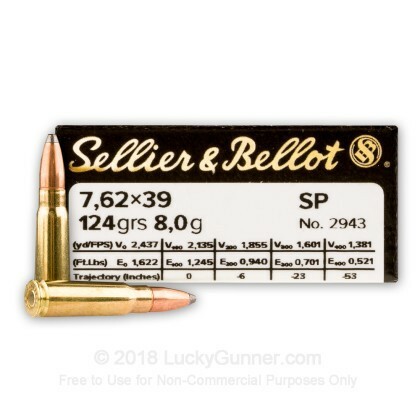 If you'd like to be the first to review this particular 7.62X39 ammo from Sellier & Bellot, fill out the form below.